Located in the north of Bulgaria's picturesque Black Sea Coast and close to the historic city of Varna, lies the popular resort of Golden Sands. This magnificent resort is situated on a stunning wooded hillside which sweeps down to meet one of the world's most beautiful beaches that is lapped by a sparkling blue sea. Many British tourists visit Golden Sands during the summer to enjoy the resort's unique charm and character, full of fun and entertainment suitable for almost every type of holidaymaker. The Golden Sands resort offers the perfect opportunity to enjoy the best of the great outdoors in Bulgaria, as it is located on the Black Sea and is surrounded by stunning scenery, including beautiful wooded hillsides. Its white sandy beaches and clear blue sea are exactly what you think of when contemplating a relaxing holiday. Activities at Golden Sands start but definitely do not end with the beach. The main stretch of sand goes on for three and a half kilometres and is as wide as 100 metres in some places. Being a Blue Flag beach means it is safe to swim, but some adventurous visitors may wish to take this further. Take part in a number of multi-person activitiesÂ such as banana boating or volleyball, or set off with the aim of mastering the skills of windsurfing or parasailing. To really make the most of Golden Sands' seaside location, scuba diving courses are also available, helping beginners fall in love with the underwater world. 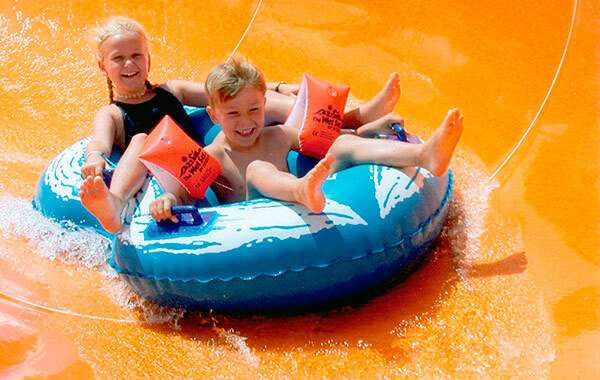 Back on dry land, you can race the rest of the family at the local go karting track or head off-road on quad bikes. If operating a vehicle sounds like too much hard work on a well deserved break, opt for a round of mini-golf or archery instead. Culture vultures do not fear, Golden Sands is not just for beach bums and adrenaline junkies, as there is plenty for you to see too. One of the easiest places to explore due to its close proximity to the resort is the Aladzha Monastery, hewn out of the cliff just above Golden Sands. This incredible location is thought to date back to the 12th century and has a chapel and small museum, offering insights into its history. Take note of the stunning frescoes on the little church's walls, which were painted by the Hesychast monks that called the monastery home. Golden Sands is also ideally located for trips to Nessebar and Varna, which while quite different to each other, both have their attractions. Nessebar is all about the history, with cobbled streets and quaint houses, while Varna is more modern, but known for its coastal charm. Whether you prefer to spend the evenings sipping cocktails at a bar on the beach or blasting out karaoke classics with your friends, Golden Sands has the nightlife options to meet your needs. All of the hotels have entertainment facilities, but there is plenty to cater to those who wish to go out too. Bulgaria offers great value for money, so eating out is relatively inexpensive, with the choice of going native and trying cold cucumber soup and grilled kebabs or opting for something more familiar like pizza or a Chinese dish. Be sure to take advantage of the fresh cheeses and locally grown olives - you can almost taste the sunshine in which they grow. The adults may also like to try typical tipples of the region, as wine and brandy are both produced in the area and are of a good standard. Holidaymakers who are big into their shopping will probably want to head to Varna, as Golden Sands has a few places, but nothing like this retail mecca. Luckily this city is just 18 kilometres away and therefore within easy reach. There is a big pedestrianised area, lined with outlets, that is perfect for a spot of window shopping or splashing out on a treat for yourself. Several shopping malls also offer international brands at prices more reasonable than back in the UK. At the other end of the scale, visitors may wish to browse the market stalls selling everything from fruit and vegetables to gifts and souvenirs. Most of the hotels, restaurants, beach and attractions in Golden Sands are quite close to each other, making getting around relatively easy. Do not expect this corner of the Black Sea coast to be flat, however, which means those with mobility issues may require assistance. The bus service is frequent and reliable, making it a useful alternative, while daytrips to interesting locations in the region are easily arranged. The closest airport to Golden Sands is Varna and it takes less than three and a half hours to fly there from London. Operating two hours ahead of British time, don't forget to put your watch forward when you fly to Bulgaria. With an average ten hours of sunshine each day during the high season in July and August at Golden Sands, you are unlikely to miss the weather back home. Summer temperatures can hit as much as 27 C, but even in October it tends to drop down to around 17 C, which isn't exactly cold. Learning a few phrases in Bulgarian always goes down well with the locals, but staff in the hotels and restaurants of the resort tend to have good English skills. The local currency in Golden Sands is the lev and at present you can get approximately 2.4 levs for each pound sterling. 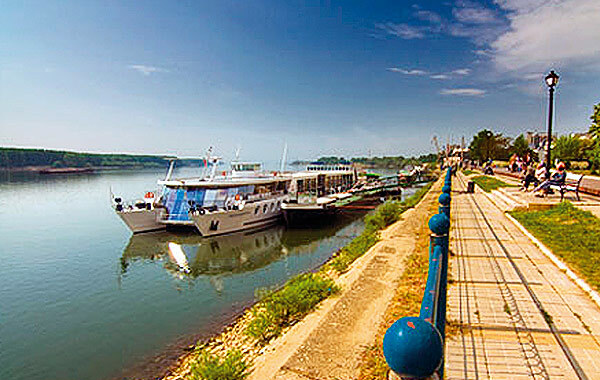 Extract: Hilly Golden Sands is ideally located near Varna and Nessebar with plenty of attractions of its own. A day's trip to Bulgaria's natural border with Romania and a chance to sample life in a typical Bulgarian village and town. A great chance to have a fantastic night out! 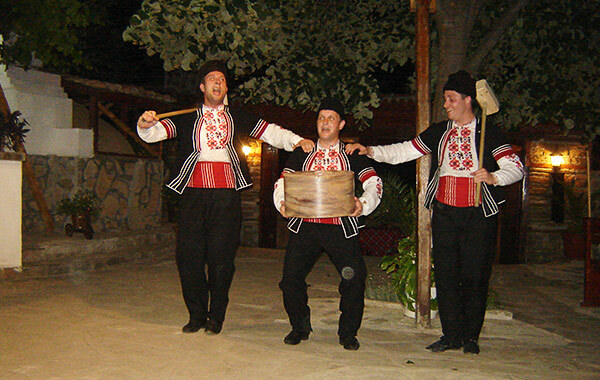 Enjoy the magic of the folklore of the Balkan region and the colour and rhythm of the live variety show. A must for everyone! A museum town next to Bulgaria's largest seaside resort Sunny Beach. 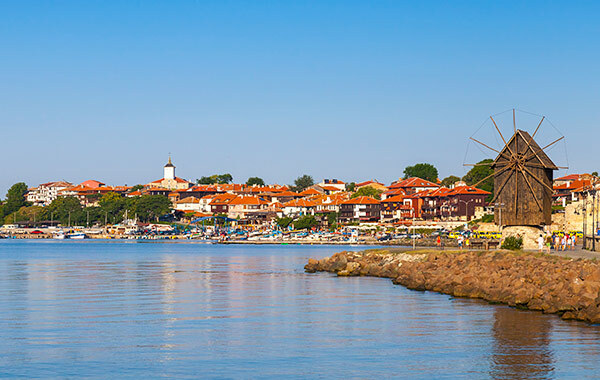 Nessebar possesses a unique and romantic charm with spectacular views.